Reading and Writing Redhead: Birthday Blog Hop and Giveaway! 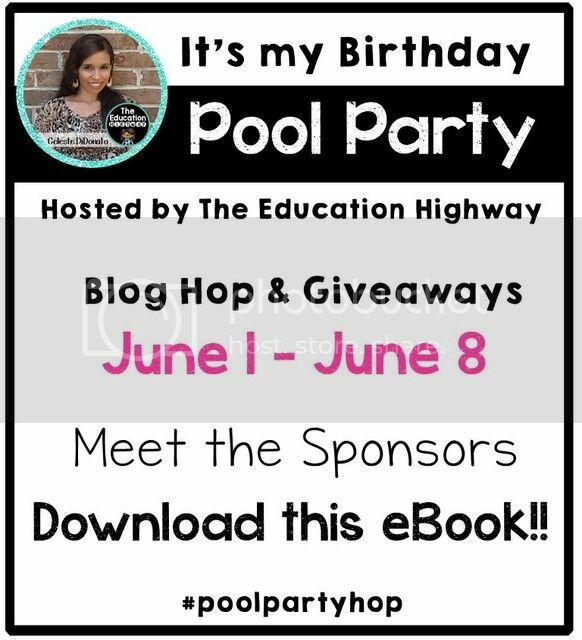 Birthday Blog Hop and Giveaway! Guess what? It is Celeste from the Education Highway's birthday! And we are celebrating with a fun blog hop and giveaway, too! Plus we have a few fun summer tips and ideas for you too, now that it is the unofficial first week of summer. REALLY unofficial, especially since it's 23 days until school ends for me and I can start summer myself! Ha! Let's start with the summer tips and then you can see the prize packs, blog hop and rafflecopter to enter the giveaway at the bottom of this post. Strawberries are great in the warm weather! 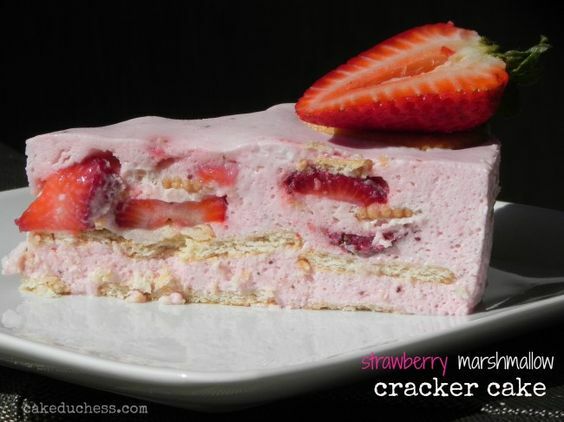 Check out this fun and easy to make Strawberry Marshmallow and Cracker Cake Recipe from Rachel Ray. Nom Nom! Click here! Let's be honest, if you don't have access to a pool, lake, or are landlocked (or just extremely pale and sensitive to the sun like me), outdoor activities in summer might not be ideal. Or the weather could be terrible. So you need some backups! For indoor activities, I have two great movies for you to check out - one for your family and one for you and your girlfriends. You need a girls' night out this summer-trust me! First of course, you and your family are definitely going to see Finding Dory! How can you not?! Secondly, for your girls' night out, if you haven't heard of the movie Bad Moms, once you peek at the trailer, you will want to see it! Click here or on the image below to grab this summer writing freebie! It would be great to send home with your students if you're still teaching, for some end of the year practice, or if you're tutoring or want something for your own child to use for practice this summer! Now, let's take a look at what is in those prize packs! Scroll to the bottom for the rafflecopters so you can enter to win! For new teachers: take a breath! If you have questions, ask them! This Summer I will be taking my girls to South Carolina to see my brother! Hoping to win Prize Pack 4!